The Cedar Canyon Fault comes through the canyon at left and passes to the right, north of Pinto Mountain. Cedar Canyon Road - Mojave National Preserve: 19000. The Vegetation of Lobo Point and North Wild Horse Mesa, Mojave National Preserve, San Bernardino County, California. : Cedar Canyon. 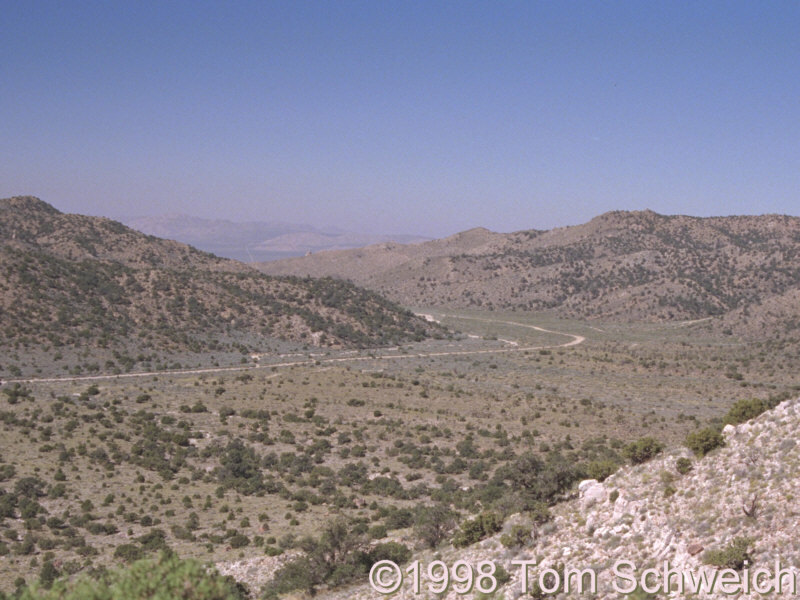 Other photos about Geography - Eastern Mojave or Cedar Canyon.